If you are under the impression that the Minnesota real estate market is still a buyer’s market, it may be time to put away the bell bottom hip huggers and burn the flower power polyester pullover. Okay, that may be dating back a bit too far but you get my point. Let’s time warp to 2013. Long gone are the days of putting in a lowball offer and hope it sticks. It won’t and it doesn’t anymore. I know, I know…your friends, family and colleagues who purchased homes just a few years ago still boast that they got their home for $20k less than list price. And perhaps they did. But it’s a new day. In an analysis of the Twin Cities real estate market, there are several key trends that have occurred in the most recent 2-3 years. This is important stuff! It’s all about strategy, which I’m going to get to. Month’s Supply: This is a measurement of how long it would take for all homes in a particular market to be sold. The greater the number means there are more sellers than buyers. Hence, a buyer’s market. Sellers are competing at a much higher degree to attract the fewer buyers out there. In turn, buyers have more leverage in negotiating what they want. An interesting stat: In 2010-2011, the month’s supply in the Twin Cities market was generally about 7. Today, that number hovers around 3 in most of the suburbs, including Minneapolis and St. Paul. That means there are a lot more buyers than there are sellers. Guess what? 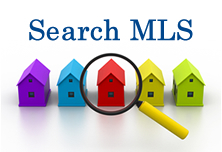 You are in strong competition with your fellow buyers in the market. Percent of List Price Received: Another interesting statistic. In 2010 and 2011, sellers in many areas were getting only upwards of 90% of list price. Compare that today and sellers are receiving an average of 94-96% of list price, generally speaking. Guess who has the leverage now? Yep, you guessed it…sellers do. Average Sale Price: Average sales price of homes in the Twin Cities real estate market are climbing, upwards of 15% higher in some areas. What does this have to do with lowball offers? I’m going to come back to this in just a minute. I’m putting on my MN Mortgage Mom hat for to say, “Don’t even think about putting in a lowball offer in this market unless you are prepared to wait a very long time to purchase a home”. You will get discouraged and I will have to bring out the Kleenex box and bandaids. This is not a happy plan. Rather, it’s time to get strategic. First and foremost, listen to your real estate agent. He/she is not telling you to put in a stronger offer just to get a higher commission. That’s hog wash. They are telling you this because they know the local market, study the trends and are trying to save you from buyer frustration. Most importantly, they want YOU of all competing buyers to get the home that you just fell in love with. If you are not prepared and willing to put in a near or full list offer, then perhaps it’s time to reevaluate your true maximum purchase price. Let me give you an example. Let’s say you are approved to buy a home for $150,000. You look at several homes in that price range, offer $20k less than list and lose out on every one of them. If this has been your experience, then you should really be looking at homes in the $130,000 range. In other words, don’t look at homes of which you are not willing to pay at or near list. By buying down, you will be much more comfortable paying the price you wanted all along AND be prepared to put in that full list offer. In the long run, you will find a home much faster and avoid being continuously beat out by your competition. Work with an agent and loan officer who work as a team. A great team effort can literally help you get the home that you want. In the very least, it can put you at the top of the list of all bidders. An agent who has a great partnership with a loan officer can synchronize communications, letters of recommendations and typically get this at a moment’s notice. In a seller’s market, you need a TEAM working on your behalf because you may be up against a lot of buyers all competing for the same homes. Finally, you may be wondering…”Why would a loan officer care about what I offer on a home”? Because I also have your best interests in mind. Remember, once you are approved, the clock starts ticking. Credit reports expire in 90 days. After that, the approval is null and void. Time is of the essence. And not to mention changing guidelines and increasing interest rates. Let me put this very bluntly. Remember that preapproval of $150,000? Well, you danced in the market for 3 months getting blown away by your competition and never getting your offers accepted. In the meantime, rates have gone up (as they have been for the past several months). To add salt to the wound, you were approved for FHA financing and now the new mortgage insurance rates kicked in. The final TKO…those average home prices keep on creeping up (I told you I would get back to this). Approved for $150,000? Nah, it’s more like $140,000 now. You are frustrated and I’m getting out the Kleenex box and bandaids. That was not a happy plan. The MN Mortgage Mom’s final recommendation? Be strategic, be bold, be focused and stomp your competition. Great article and spot on! Anyone looking for a home in the Twin Cities market should read this.